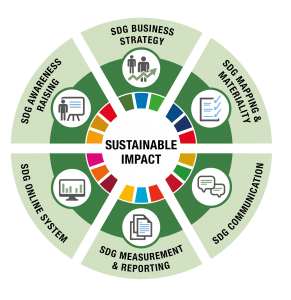 The United Nations Sustainable Development Goals (SDGs) – also known as the Global Goals – have created a new platform and framework for working with sustainability. These Global Goals prioritize and place focus on environmental, social and economic sustainability. They are a driving force opening-up new business opportunities by enabling organizations to meet the growing sustainability demand of consumers and our planet. Sustainability is our key competence at DEM, based on more than 20 years of experience with monitoring and evaluation. We assist both public and private organizations in linking to, measuring and communicating their efforts and contributions in line with the UN Sustainable Development Goals. DEM can help you to evaluate which new business opportunities the Global Goals create for your organization, as well as the competition risks that are connected to not acting on the Global Goals. Understanding these issues is essential in a market where increasingly bigger demands are being placed on organizations to contribute to the global sustainability agenda.